The first World Happiness Report from Columbia University in New York was published earlier this year, ranking Switzerland the seventh happiest place on Earth, well ahead of countries like the United States, France, Australia, the United Kingdom and New Zealand. What is it about living in Switzerland that’s so appealing? As Expatica.com’s survival guide to living in Switzerland shows, life here is in many ways similar to life elsewhere in the developed world - the goals, concerns, interests and hobbies of the Swiss people are not country-specific. Yet spend just a short time here and you’ll find it hard to deny that living in Switzerland seems to make people happier and more content. Whether it’s the freshwater grandeur of Lake Geneva, the beautiful mountain villages that ooze charm and tradition, or the sheer, imposing majesty of the Alps, Switzerland is a country that offers some of the finest landscapes in the world. Even major cities have been designed and built to help maximise the abundant natural resources and beauty that surrounds them. Switzerland has a reputation for being one of the safest countries in Europe, in many ways the legacy of a time when Europe was less peaceful. As this article from Country Facts explains, “violent crime, including assault and robbery is virtually unheard of in Switzerland”. Switzerland is a place you can visit and enjoy without having to worry unduly about a loved one’s safety. The mix of cultures in Switzerland is as varied as the number of official languages spoken – French, German, Italian and Romansch to be precise. As such, the Swiss are well known for their friendly, tolerant and welcoming attitude towards visitors from foreign climes. 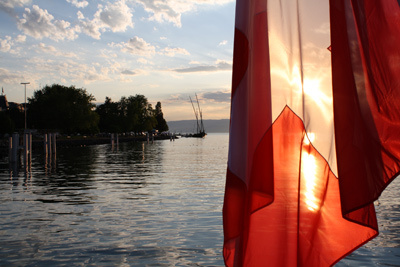 Although modern Switzerland may be of great international importance, especially in the finance sector, traditional ways of life remain alive. The Swiss have found the happy medium between life in the modern world and gentler, more traditional values. The Swiss are well known for their discretion, which is why high-profile families send their children to schools like Brillantmont, safe in the knowledge that they won’t be bothered by photographers or overzealous locals. 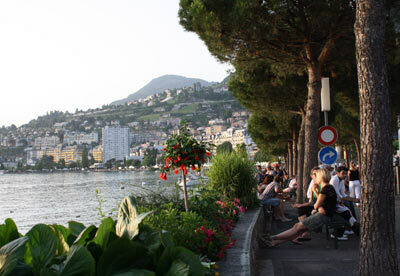 Switzerland is a place where you can get away from the pressures that may exist at home.